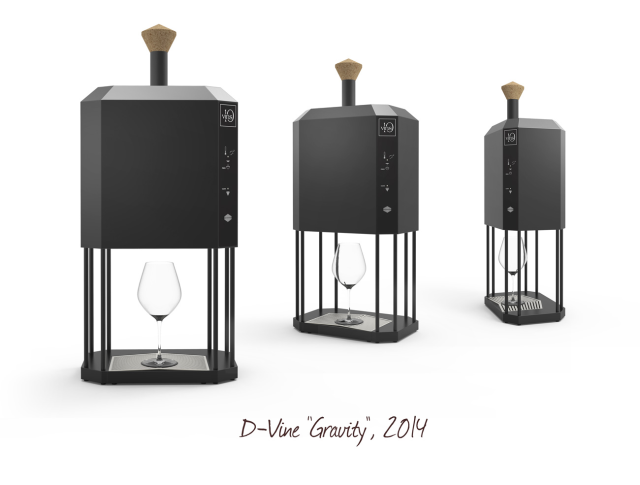 In December 2014, Jérôme Pasquet, Luis Da Silva and Thibaut Jarrouse launched D-Vine on Ulule, a machine to pour wine by the glass. Starting with a €15 000 objective, they wrapped up the campaign with more than €40 000! Their future has gotten even brighter since then, as their company 10-Vins has been piling up successes. 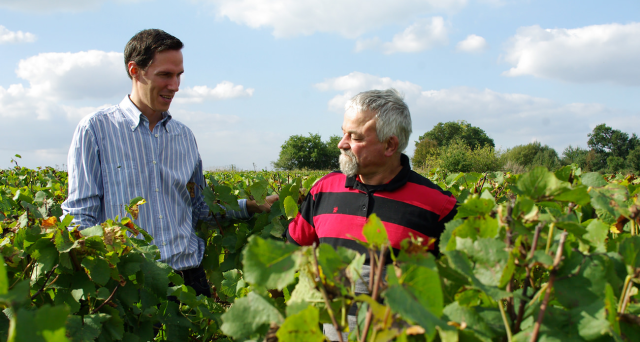 Thibaut Jarrousse reveals everything behind the “Nespresso of Wine” adventure. ”No one has ever done something similar to the D-Vine before, so this crowdfunding was like a real market study”, Thibaut says. The campaign was the first step to get the general endorsement of the public: even before the project was officially launched, 130 D-Vine machines were pre-ordered. Today, all backers have received their rewards and the D-Vine has undergone a few changes. “Backers co-conceived the product. Their feedbacks were on point. They thought the machine was too big, so we reduced the size to make sure it looked like a decorative, tasteful object.” The revamping of the design demonstrates Thibaut’s consideration for his backers. They clearly had good intuition on this one. By the end of the campaign, the machine was 250€ less expensive than the current price, and backers became the “first ambassadors” of a pretty successful project. Since the Ulule campaign, 10-Vins has snatched numerous prices and raised more than 2 millions euros through private investors and investment platform Proximea. “One of our sales points was our Ulule campaign. Raising more than €40 000 at the very beginning shows a real interest of the public and market opportunities.” Today, 10-Vins has a team of 20 people, a concept store in Nantes, a showroom in Paris, and plans to reach the other side of the Atlantic. Indeed, in January 2016, 10-Vins got some nice exposure by getting the Best Startup award during Las Vegas CES. “It was very good for us and generated lots of leads on the fair” Thibaut says. The entrepreneurs took the opportunity to go on a States tour, stopping by New York, Las Vegas and San Francisco. “We studied the market and the feedback is quite positive. Several international players showed their interest.” Maintaining this momentum, 10-Vins wants to launch a new fundraising with Proximea very soon to prepare its internationalization. Prior to that, in France, things are moving along nicely. The D-Vine is now available in the bedrooms of the 5-stars hotel Nolinski in Paris, and in several Mercure hotels. 10-Vins never fails to surprise. At the 2017 CES fair, they came back with a brand new model. Exploring new functionalities, the Connect machine has a touchscreen and can manage personal recommendations like a real sommelier would. Stay tuned for its next tasty adventures!